As You Like It is in many ways a typical Shakespearean romantic comedy, complete with banishment, mistaken identities, women dressing up as men, and happy endings all around. But what makes As You Like It different from his other plays is that Shakespeare has written several songs into the play, which companies are free to interpret as they will. In this case, CAE uses '80s music, and has in fact set the entire play in an '80s theme. It's really quite clever how they incorporate the '80s references throughout the show, not just in the music and costumes, but also in movie references and funny asides in the '80s vernacular. As with the outdoor shows I've seen, As You Like It is playful and fun while still being respectful of the source. The basic story is this: the new duke has banished the old duke, his brother (both played by Randall J. Funk), to a life in the forest. The two dukes' daughters are best friends, so the new duke lets Rosalind (Samantha V. Papke) keep his daughter Celia (Käri Nielson) company, until she, too, is banished. The young women decide to run away together, in disguise of course, with Rosalind dressed as a man. They take the fool Touchstone (Joseph Papke, who also directs) with them for company and entertainment, and as usual the fool gets the wisest and most entertaining lines. They run into a bunch of forest dwellers, shepherds, and the like, including Rosalind's crush Orlando (Jordon Johnson). Orlando is also crushing on Rosalind, carving poems and love letters into the trees of the forest (or in this case - post-it notes). Rosalind in disguise convinces Orlando to woo her as Rosalind, you know, for practice. Eventually everyone's identities are revealed and everyone gets their happy ending. The large 15-person cast is fun to watch, although the lack of diversity is disappointing in this post-Hamilton world. 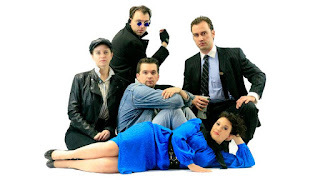 They all take part in the music, both singing and playing in the band, which occurs prior to the show, during intermission, and in a few interludes during the show. In addition to the Shakespeare-penned songs, they've added such classics as Whitney Houston's "How Will I Know." Even those not participating in a particular song are hanging out on stage enjoying the music, giving the whole thing a fun and laid back kind of feeling, culminating in a super fun and super '80s curtain call dance. 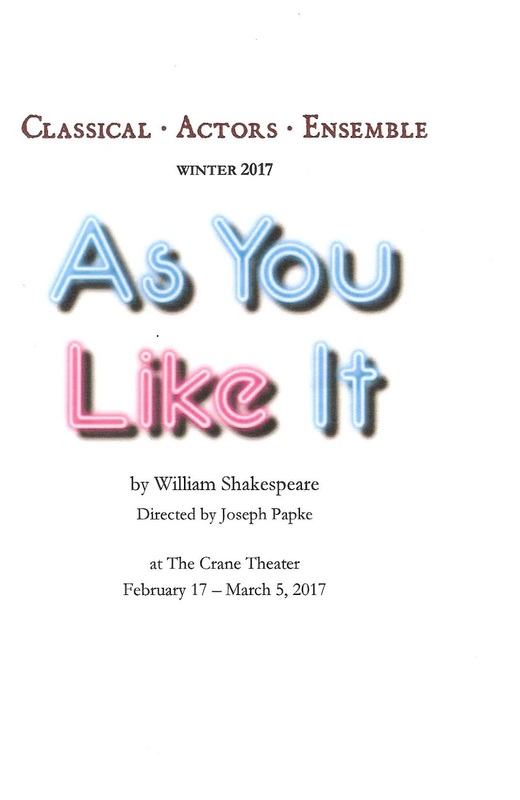 As You Like It continues at the beautiful new Crane Theater in Northeast Minneapolis through March 5. Check it out for a fun, playful, '80s take on Shakespeare.